Expedition: Wilderness was HUGE success this Spring. With two life coaching camps taking place, one in Northern California and the other on the Oregon coast, we are continuing to see tremendous development in the youth we work with. One of our goals with camp is to bring together students from different backgrounds and lifestyles so they can meet one another and learn how to build a healthy and diverse community. 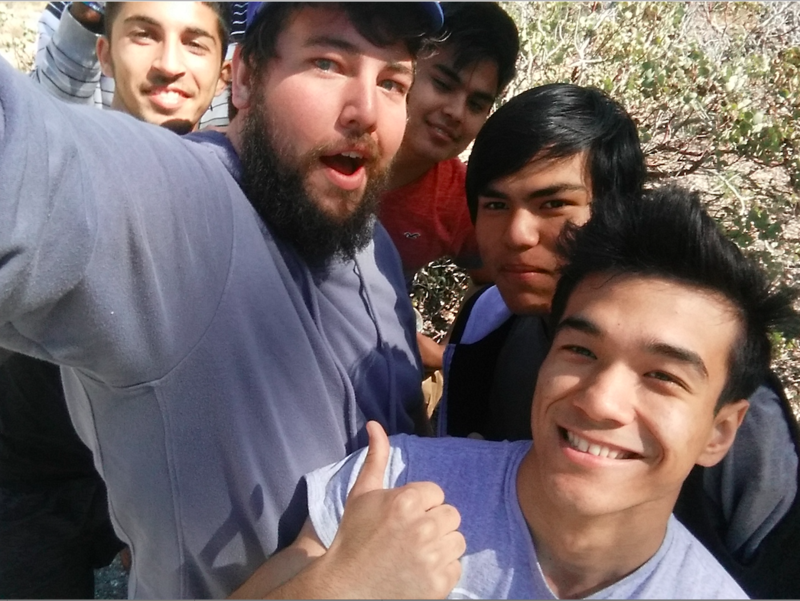 Many of the students form deep friendships through their wilderness experience. Below our Life Coaches tell about each camp and the benefits of the life coaching camp. This April we orchestrated our Spring camping trip to Ross Relles. 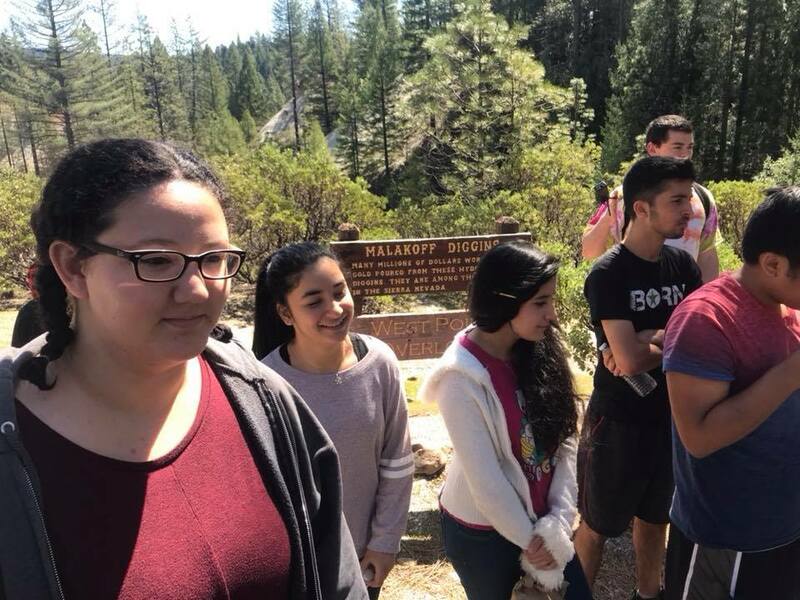 During this trip we take a large number of our life coaching students for a 3 day camping trip to a state run camp site near Nevada City. Majority of the Students we take on this trip are currently living here with refugee status. Originally from Afghanistan, they were able to move here with their family having hopes of starting a new safer life in America. We also brought our at-risk youth who are American born along on this trip. We take our life coaching students away for a weekend outside of there normal distractions, with the intentions of building stronger relationships with them and for our students to create healthy relationships with others whom they might view as different from themselves. The weekend is full of activities like hiking, archery, and smores making, as well games like Ninja or Ghost (a camp classic). These activities are separated throughout the weekend by group discussion times with a speaker who shares a personal story about their life and how it relates to the lessons learned in our coaching model. After the large group talk we then break in to small group discussions to talk with students about how they might relate to the stories shared. The Idea behind this is to encourage an open dialogue and to build stronger bonds between our students and our leaders. By the end of the weekend we have built these relationships allowing students to be more open to listening and hearing our words. Through this increased receptiveness we are then able to speak into their lives and to create opportunities in which we may empower them to make positive changes in their life. 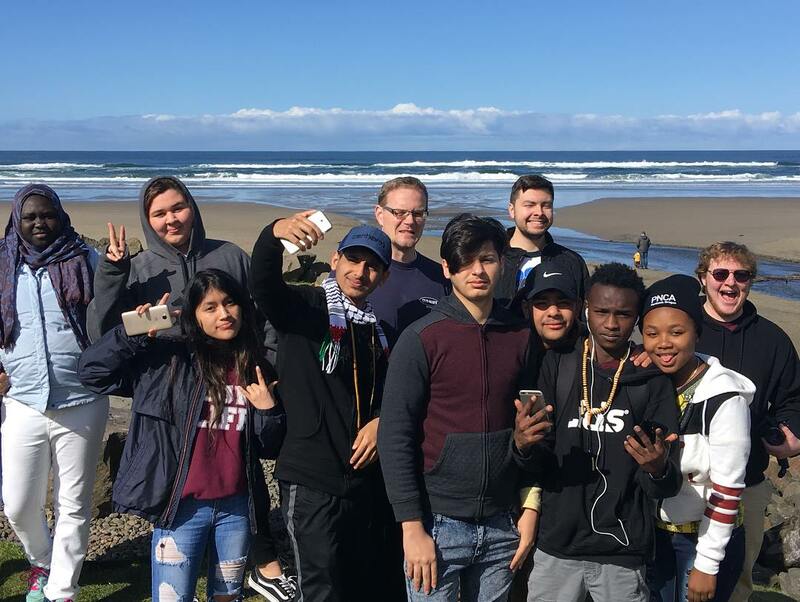 During spring break a dozen of our Portland refugee and newcomer students embarked on their very first camp to Rockaway Beach, Oregon. More than half had never seen the ocean before. Over the three days of intensive life-coaching and small-group processing, we discovered and discussed what toxic versus healthy relationships look like. Our group was able to apply these concepts as we formed solid friendships through shared adventures and laughter over the weekend. 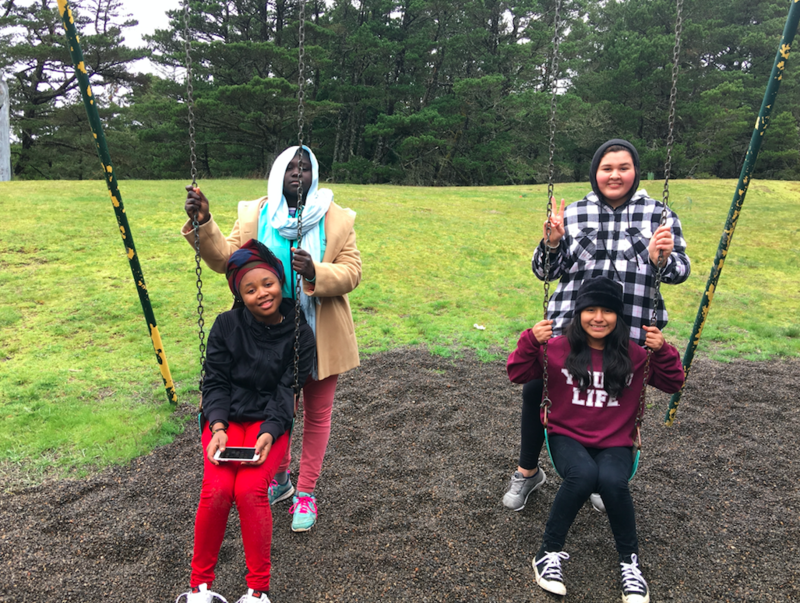 Some of the student’s favorite memories included playing soccer, meal-time shenanigans, and a typical Oregon coast hike in the pouring rain. The end of our struggles was a breath-taking view of the ocean atop a sand dune. The next day we were relieved to be greeted in the morning by the sun and blue skies for a second viewing of the ocean, much more lovely than the drizzly first day. Overall, it was a fantastic first camp and we are looking forward to returning in June to continue to forge our StudentReach Portland friendships with one another.